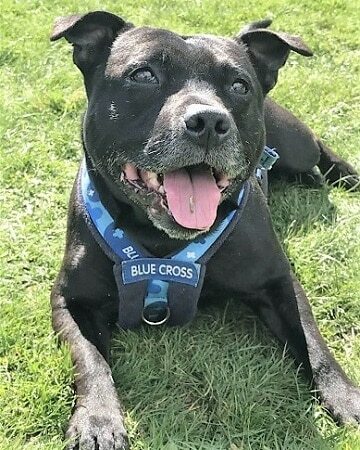 This is gorgeous Knight and he’s not getting the attention he deserves despite Staffies being a very popular dog in Britain and he’s one of the best, such a lovely chap. 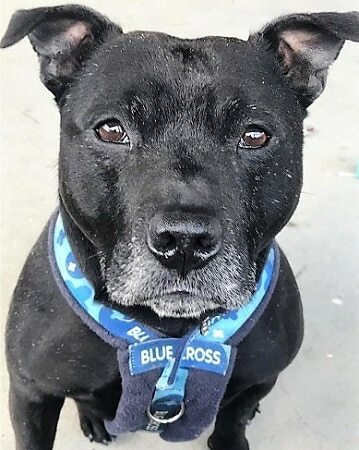 He’s currently in the Blue Cross Rehoming Centre in Thirsk, North Yorkshire where he hopes to have the chance of finding a new, loving home to retire to. 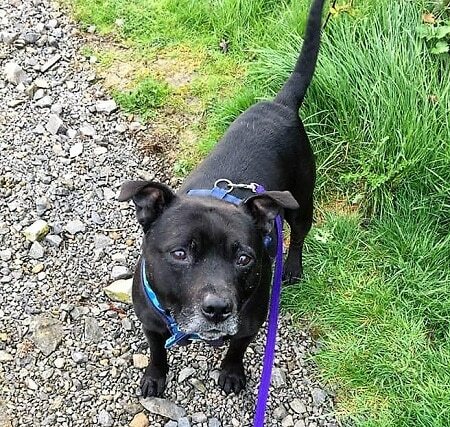 Knight is a male, black Staffordshire Bull Terrier and he’s just over 9 years old. He knows that his loving, affectionate nature should more than do the trick of finding someone to love and he will be happy to live with school-age children. 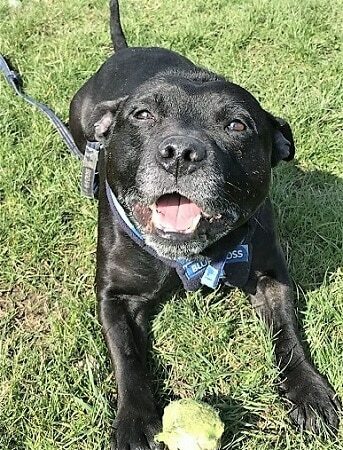 Although Knight is a little on the older side, he hopes that won’t put anyone off as he would enjoy a quiet life with plenty of cuddles and playtime with his ball. Anyone who chooses to take this adorable boy on will not regret it as he has so much love to give. To apply to adopt Knight, you will need to complete the Blue Cross Home Finder Form. Please mention that you saw Knight on the Oldies Club website.